I woke up with a little more energy this morning. Coincidental with starting this detox? Maybe, but then it’s only been one day. Today’s breakfast was a random smoothie I blended together with peaches, strawberries and bananas. I do notice my appetite has declined a bit, I wasn’t able to finish the smoothie completely. For lunch I decided to order a custom made salad from the cafeteria. Romaine lettuce, tomatoes, peppers, mushrooms, carrots, cucumbers and almonds with vinaigrette dressing. One thing I’m learning is that it’s very easy to mess up on this program if you don’t prepare all your meals yourself. I wanted baby spinach as my base greens which they didn’t have. And I later realized that the almonds in my salad were toasted. Not beating myself up over it, but it would’ve been preferable to have them raw. I worried about how I was gonna cope with a raw salad while one coworker brought chicken & rice and another a hamburger with sweet potato fries followed with custard pie for dessert. Halfway through the salad, I started to feel full, I followed up with some watermelon later. Because I have a big sweet tooth, I found some easy to make recipes for raw desserts for those times when I would normally crave something like ice cream or a piece of cake. 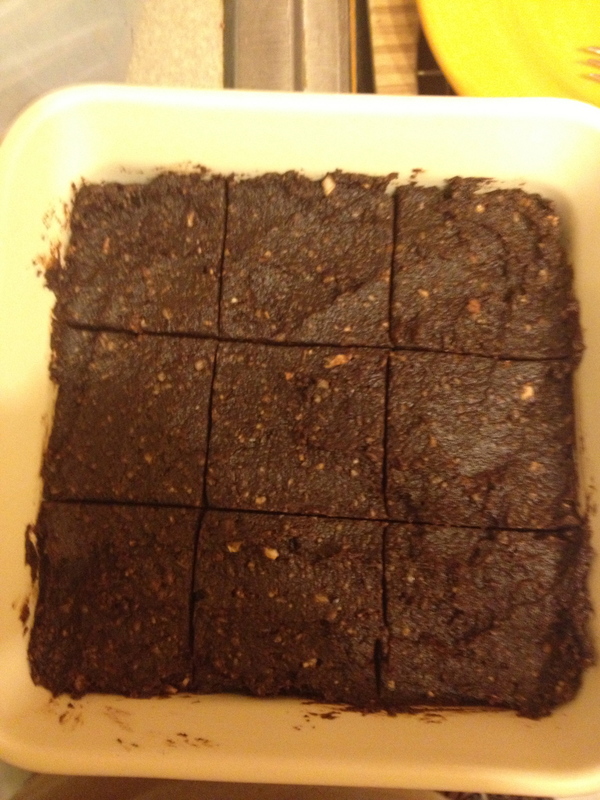 Yesterday I made a recipe that I found online for raw vegan brownies. and then I decided to be really adventurous and try out a raw pecan pie. 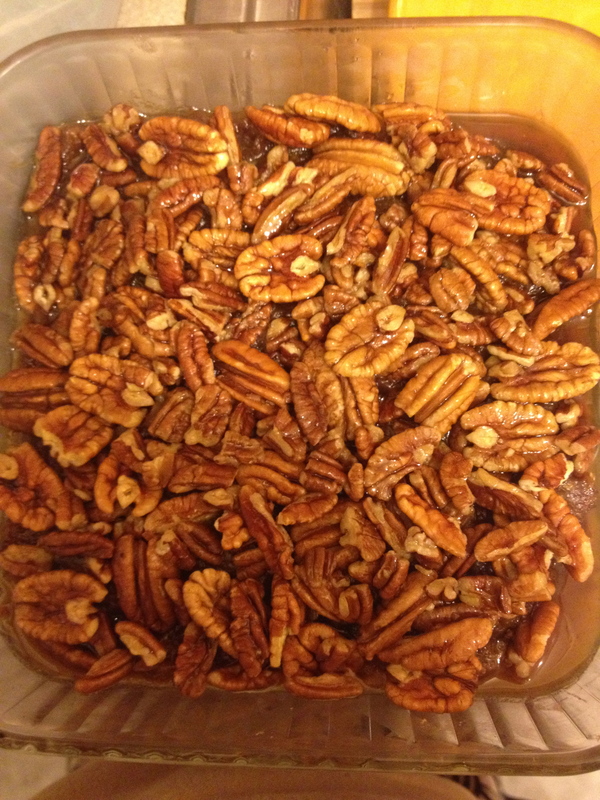 the brownie and pecan pie crusts are nut based and both recipes use dates to replace the sugar as sweeteners. Flavor wise, they are both intense despite not using any flour, sugar, eggs or butter. Small pieces at a time are more than sufficient to satisfy a sweet tooth. Dinner was simple and light. Some kale chips and a bowl of cherries. Two days down, didn’t think I’d make it this long, but so far so good.